Home > > Vehicles > 143926 > 2008 Chevrolet Silverado 1500 Crew Cab LT SOLD!!! 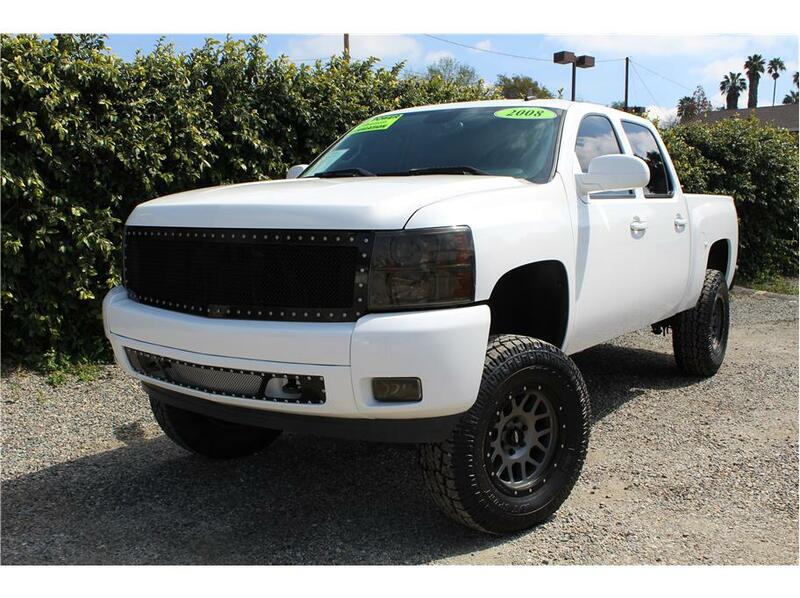 This 2008 Chevy Silverado 1500 LT2 Crew Cab is a great looking truck with 143K original miles on it. It is powered by the V8 5.3L motor and a 4 speed automatic transmission and has a 6 inch Fab-Tech Performance lift, sitting on brand new 35 inch Procomp tires that are mounted on 18 inch Pro-Comp wheels, a Volant cold air intake system, blacked out tail lights and blacked out headlights, T-Rex X Metal Studded upper and lower grille along with a black Chevy bow-tie in the rear, in dash with integrated navigation and Bluetooth. Our 1500 Silverado also comes loaded with power windows, power door locks, power mirrors, keyless entry, remote start, 6 seat interior, dual digital climate control, cruise control and steering wheel audio controls. We had our Chevy Silverado go through a complete 151 point inspection done by a California licensed repair shop and had installed a motor mount, spark plugs, fresh oil change service and a power steering hose. This sweet looking Silverado is the truck that you’ve been looking for, with a great looking exterior and sitting nice and high, it’s just waiting for you. So come on down and take it out for a test drive today.